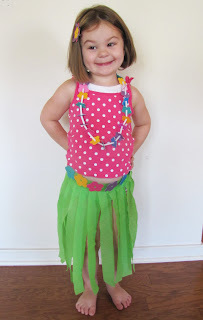 MBC: Paper Leis and Grass Skirts!!! 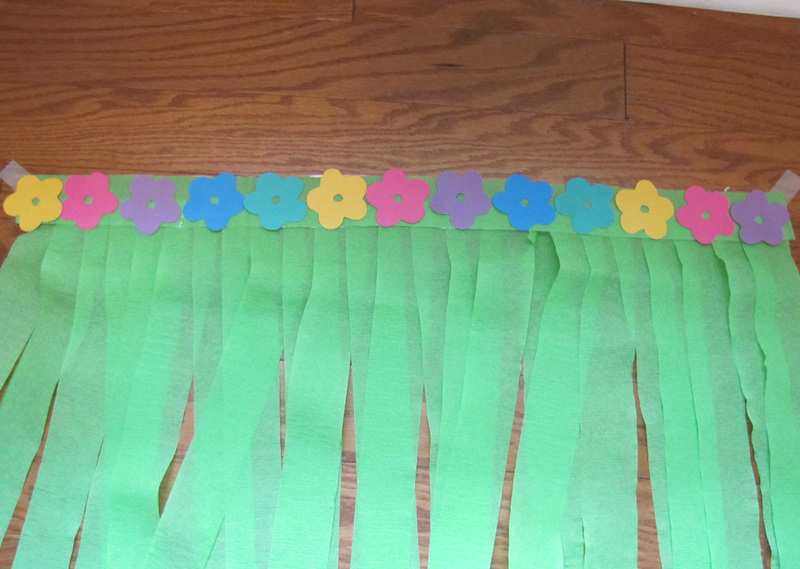 Paper Leis and Grass Skirts!!! 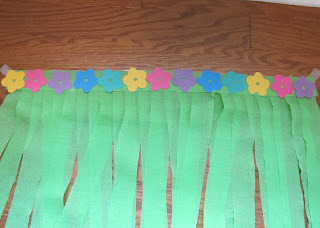 For the Lei's your going to need heavy thread, a large needle or tape, paper flowers, scissors, and some straws. More flower info below. For the flowers I used my cricket (paper doll cart) to cut out the flowers. If your using your cricket cut them at 1.25in and then some at 2in. You will need about 24 of each. If you don't have a cricket there are several other options. 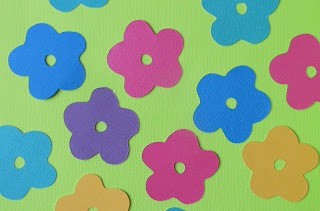 You can often buy little paper/foam flowers at craft stores or you can punch them out with a flower punch. Or if your really patient you can simply print out the flower below and use it as a template to trace and cut on colored paper. NOTE: center hole can not be bigger then the straw so if you making your own use a small screwdriver to poke a hole. Step 1. 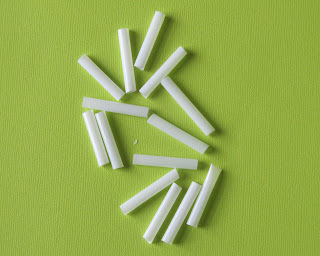 Cut up all the straws in 1in pieces. I threw out the bendy part. Step 2: Cut your thread to 36in. Step 3: Either thread you needle OR wrap the end in tape. 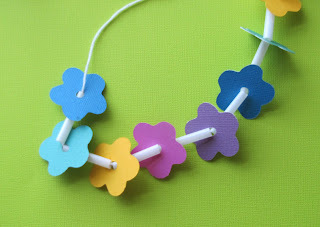 This is the best kid friendly way to make a necklace of any kind! 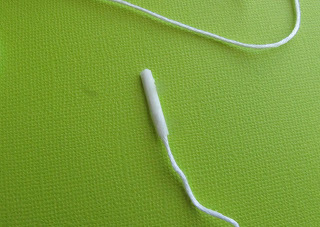 Tie a few knots on the end or try using a paper clip to keep everything from sliding off. 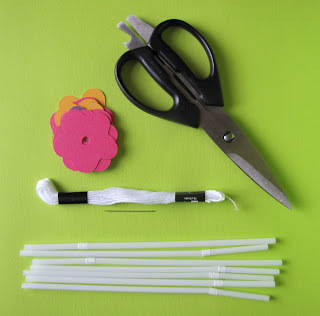 Step 4: Begin threading a piece of straw and then flower in whatever color pattern you would like! Step 5: Tie it off and your done! Seriously so cute. 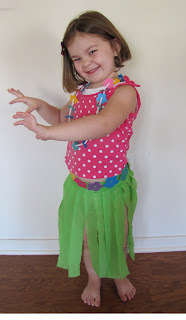 And now on to the grass skirts. 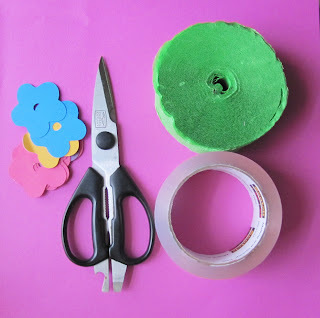 You will need: scissors, more paper flowers, crepe paper, and packing tape, and a ruler. 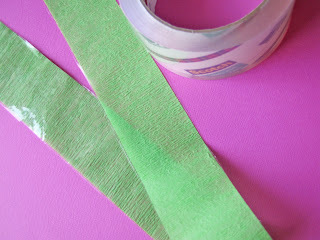 I just happened to have left over green crepe paper but any bright color will work! 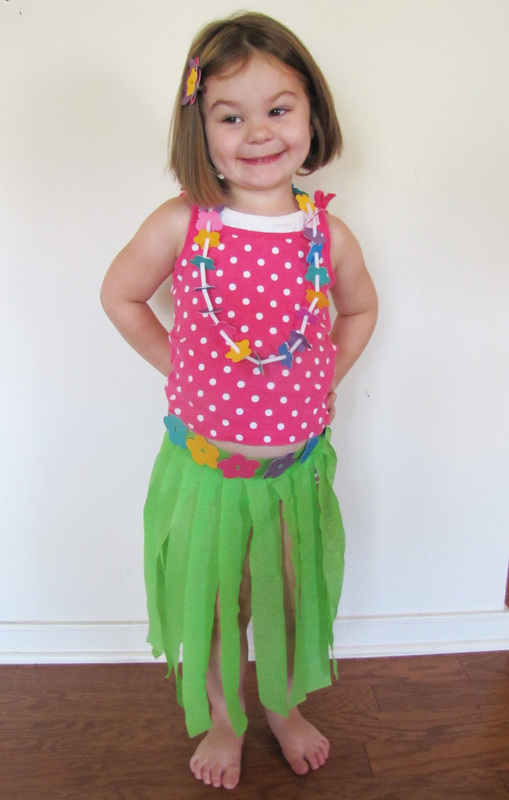 Step 1: Wrap the crepe paper around your childs waist and cut add about an inch for overlap and cute. Measure the paper length, my daughters was 24. Step 2: Cut strips for skirt. I cut 15in length. You will need the same number as your child waist is. So I needed 24. Step 3: Lay out a piece of packing tape in the same waist length. Then lay the waist length paper over it. This will give you a strong piece for the waist so it doesn't just rip or break right away. Trim excess tape off edges if any. Step 4: Lay out the waist piece and begin taping on the pieces letting them over lap about half an inch. If your letting the kids fo this part then just simply cut the tape for them and they probably wont worry about overlapping. 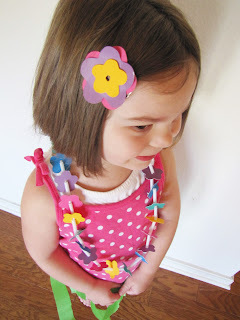 Step 5: Glue or tape on the flowers. I hot glued them and it worked great. 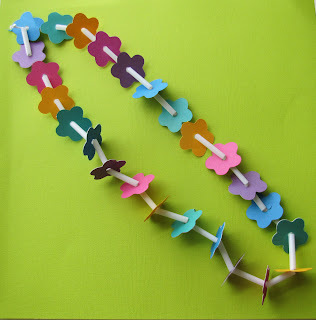 However if your using this as a kid activity they can tape them on. All done! When your ready to wear tape it on with a big piece of packing tape in the back. 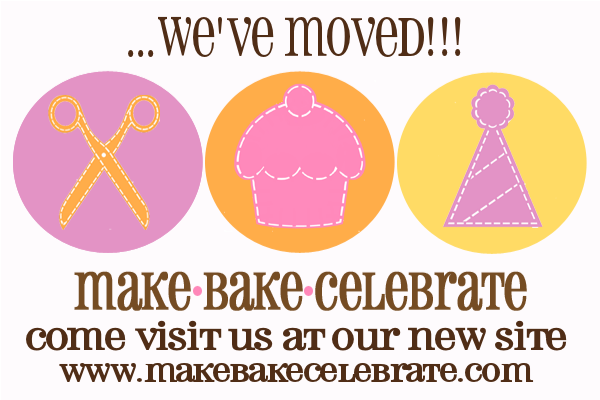 Cadence was thrilled to be the model! She couldn't wait to get them on and shake her hips lol. These were fun, cute, easy, and cheap! She played around in hers for awhile and it held up really well :) Great for parties! I glued a few extra flowers to a hair clip to finish of the look!